It’s time. Time for stockpiling pastures in an effort to extend the grazing season and conserve stored hay reserves. Hancock and others who tout the benefits of stockpiling also are quick to point out that success is tied to management. Though many grass species can be stockpiled, tall fescue is often cited as the most valuable player among the forage options. Further, it has wide adaptability from south to north. Bermudagrass is also a preferred choice, especially in the far South. When stockpiling bermudagrass, Hancock prefers the hybrids such as Tifton 85, Tifton 78, Tifton 44, Russell, or Coastal. These are more productive in late summer and early fall and have higher resistance to late-season fungal diseases than most common varieties. Livestock producers can expect stockpiled tall fescue to produce 1 to 1.5 tons of standing dry matter per acre. Bermudagrass, depending on variety, can range from 0.75 to over 1.5 tons of dry matter forage. On the high-end of the range is Tifton 85. Hancock notes that both tall fescue and bermudagrass provide more than adequate nutritional qualities for dry cows through most winters and for lactating beef cows into late January (tall fescue) or late December (bermudagrass). The Georgia forage specialist cites two management factors (other than variety selection) as keys to successful stockpiling. The first is adequate soil fertility, especially nitrogen. Hancock suggests the addition of 40 to 60 pounds of nitrogen per acre following the last cutting or grazing before forage is stockpiled. This assumes that soil pH, phosphorus and potassium soil levels are already adequate. Kentucky on-farm trials in 2014 conducted by its Master Grazer program prove Hancock’s point. Participating farms applied 100 pounds of urea (46 pounds of actual nitrogen) after clipping, leaving an area in each pasture unfertilized to compare the yield differences. The nitrogen application plots had an average yield of 3,650 pounds of dry matter per acre. Plots with no nitrogen fertilizer averaged 2,101 pounds of dry matter per acre, a difference of 1,549 pounds. 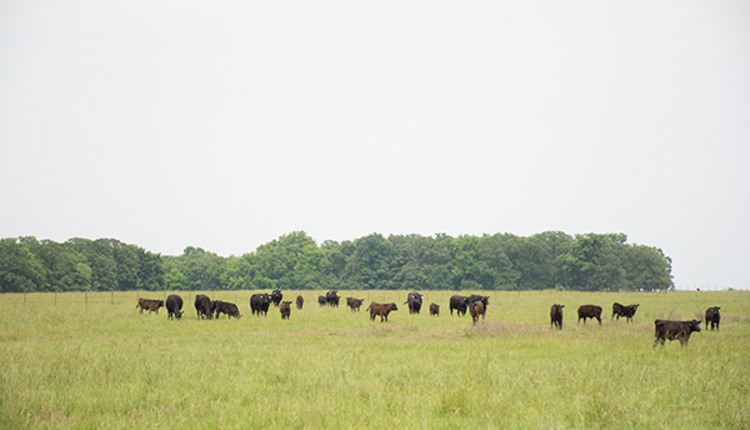 The second management key pertains to the actual grazing management of the stockpiled forage. Rather than continuous stocking on one large pasture, some degree of rotational grazing will maximize the return from forage. Most forage specialists recommend frontal grazing whereby one to three days of forage be allocated at a time, with the frontal fence being progressively moved across the pasture away from the water source. This limits waste and often results in more than 75 percent consumption of produced forage.